For a little more than a decade, as of the year 2000, a series of video games dedicated to the conflict of the Second World War were developed, parallel to the wave of war films that began in 1998 with “We have to save the soldier Ryan”. The success of such games, straddling the generations X and Y, was immediate and without appeal. Quickly, these computer programs have established themselves at the top of the best sales and have kept their seats for several months. How to explain this phenomenon ? What is the value of these video games? What is their relationship with historical events? If the video games on the Second World War are counted today by hundred, it is only at the beginning of 2000 that, for the first time, a game retraces the history of the landing of Normandy. Indeed, the strategy game “Close Combat: Invasion: Normandy – Utah Beach to Cherbourg” proposes to its clients to approach tactically the war of the hedges, the use of the different armaments of the time and the effects of the fighting On the morale of the soldiers. The story is respected broadly, the goal being more to propose a framework to the players than a real immersion in Operation Overlord. On February 14, 2002, a now legendary game is launched: Medal of Honor: allied landing. The player can follow a scenario tracing the landing on the beaches of Normandy, precisely on Omaha Beach. Subsequently, a few additional missions evolved the player in the very heart of Normandy during the summer of 1944, during the war of positions. This computer program is based on real historical research and its success inspires many developers. The latter decided to continue work in this direction. 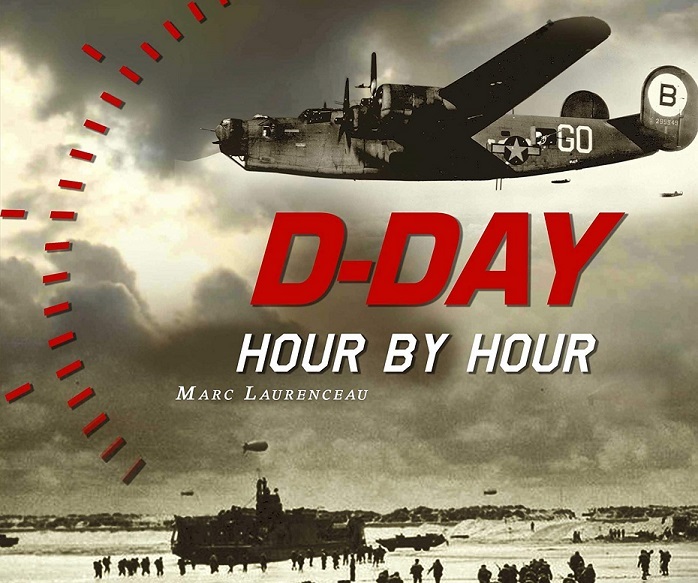 On June 6, 2003, to celebrate the 59th anniversary of the Normandy landing, the game Day of Defeat is available. This is a mod (a version) of the famous “Counterstrike” (at the time the most widespread game on the planet); The players compete on the internet or in network and choose their camp: terrorist or anti-terrorist. The mod Day of Defeat sets up a new interface: the Second World War, and the players choose this time between the allied camp and the Axis camp. They then confront each other on maps, some of which recall the events of the Battle of Normandy: for example the beach of Omaha Beach and the Norman towns (notably Caen). Day of Defeat also allows more experienced players to create their own “playgrounds” and can find on the internet cards called “Pointe du Hoc”, “Pont de Bénouville” or “Utah Beach”. Video games on the Second World War are multiplying very rapidly, offering varied scenarios on most fronts. But on a regular basis, the Battle of Normandy appears as an event of choice, appreciated by young players. Thanks to new development technologies and user demand, these games are becoming more and more realistic, whether from a historical point of view or even from the simulation of the fight, as if the creators no longer simply want Proposing to “play the landing”, but truly to “relive the landing”. In this context, we must mention the video game “Call of Duty”, which traces the taking of the bridge of Pegasus Bridge or the assault of the battery Brécourt south of Utah Beach. Most of the main historical events are recreated: the “Pegasus Bridge” mission of “Call of Duty” inserts the character in one of the three gliders that landed near the bridge of Bénouville in the early hours of June 6, 1944. It must take Assault and capture German defense points, as well as protect all access to the bridge, until the disembarked troops arrive as reinforcements. An epic and impressive fight, supported at times by music reminiscent of original film. But what is the historical value of such a video game? In March 2005, the game Brothers in Arms is available for sale. It pushes all the boundaries of historical games by placing the user in an interface inspired by the Band of Brothers series, giving the program an obvious cinematographic touch. 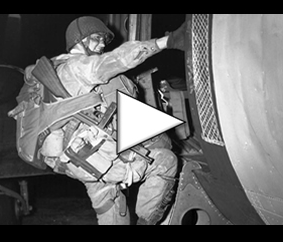 The scenario is inspired almost entirely by the true story of a company from the 101st US Airborne Division, parachuted over the Cotentin on the night of June 5-6, 1944. This game allows you to evolve a section of twenty soldiers Of this company throughout the Normandy campaign, carrying out missions actually carried out by the young American parachutists. In Brothers in Arms, the historical environment is pushed to an innovative realism for the time. The great highlight of these historical games is to propose a realistic cinematographic vision of the events. The creators now want to stick closer to history, and are inspired directly by real facts by interviewing veterans or consulting the archives as well as military experts. In addition, modern satellite imaging techniques allow developers to reproduce a geographic space on a computer. This mode of work is also to be compared with the creation in synthetic image of streets, fields or houses in relation to a photographic support of epoch: the mission “Pegasus Bridge” of the game Call of Duty is the most fruit Mature: the details of the bridge are particularly close to the historical reality. While the first Normandy landing video games (including Medal of Honor: allied landing) are simplified computer adaptations of this historic event, advances in video programming allow developers to insert more detail into their scenarios or Characters. The global success of the movie Saving Private Ryan is undoubtedly due to the historical realism of the combat scenes, particularly innovative at the release of the film in the dark rooms. Now, the new generation seems to be looking for a form of living documentary in video entertainment, in which it is possible to take part in a fundamental event of the Second World War. The creators have well identified this need, and flood their games with historical details that give their products a sense of documentary. While it is clear that a video game has nothing to do with reality, many young people are looking in these “simulations of war” to try to relive what their elders have experienced during these dark periods of war. A simulation of the disembarkation, in a way, in the same way that the US military gives free of charge to its soldiers a combat simulation video game, America’s Army, which must allow to maintain reflexes learned in training . It is clear that a historical video game can not serve as a documentary in the same way as a history book. Rather, it is necessary to see in this type of creation the imaging of different historical testimonies and articles. Plunging into an exciting universe for many young and old, such as the Second World War, can encourage users to enrich their knowledge of these events. More and more people come together in “clans” and compete on the internet in a good mood through these video games. On their websites, the clans link to some historical sites, such as this one, which shows their desire to be entertained while learning. For this reason, video game developers place in the boxes of the latest video games available a booklet or a historical DVD made with the support of historians or veterans. In this way, they can also deeply mark the separation between the fiction of the game and the reality. If the technological advances of computer programs soon make it possible to relive the full day of D-Day on the television with synthetic images that are truer than life, it seems necessary to mark today a separation between fiction and reality, at the risk of using of fiction as an element of reality.